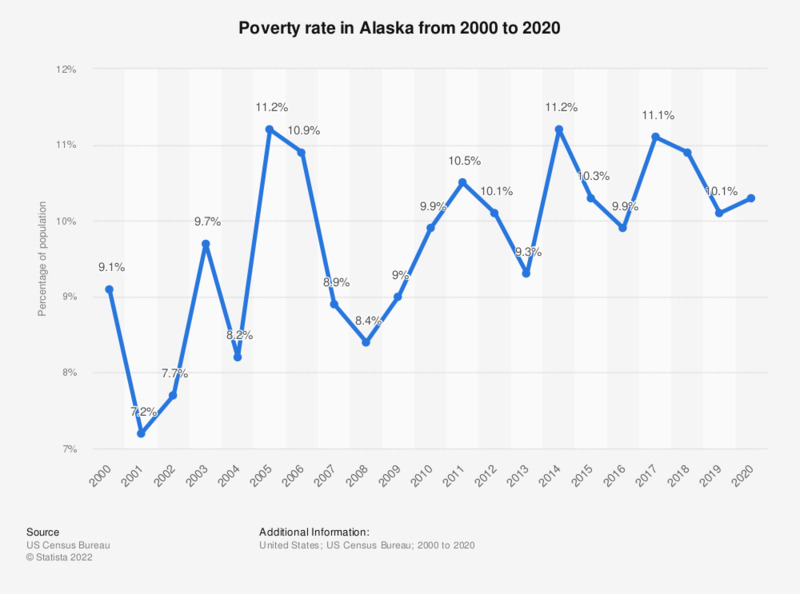 This graph shows the poverty rate in Alaska from 2000 to 2017. In 2017, about 11.1 percent of Alaska's population lived below the poverty line. Data for previous years can be accessed here.